Apple launched its musical social network Ping last Wednesday and in less than a week the company is celebrating 1 million users. In fact, Apple claims that it had crossed the 1 million milestone in the first 2 days. If the network continues to grow at the same speed, Ping might see a couple of million more users by the time it completes its first week of existence. It’s not that the latest social network is not facing any problems. It’s going through a rocky start with all sorts of issues popping up left right and centre. The biggest of its woes came to light when spammers started hitting hard making use of the vulnerability in the network’s comments system and Apple got harsh criticism from experts and users alike for not creating proper security measures to tackle the problem. It is also going through a show-down with Facebook over integrations and API use and international availability is still not completely on. All the above issues may be earning them a lot of slack but it’s not stopping Apple users from signing up. Apple CEO expressed confidence in the company’s 160 million users worldwide and proving him right, 1/3 of users who downloaded iTunes 10 have joined Ping. It may also be out of initial curiosity about the latest Apple product and it remains to be seen whether these early users will still be using the service a few months down the line. Users already follow their favourite musicians on services like Facebook and Twitter and repeated updates on another channel might not be so attractive. The only thing that should keep them glued to Ping is their musical offerings. Ping offers custom song and album charts, a news feed and 17,000+ concert listings. 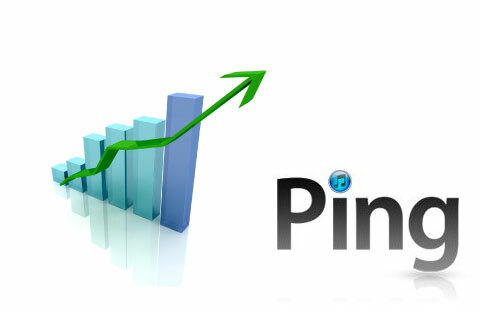 Any future exclusive music deals for Ping users will increase and keep the userbase faithful to Ping. Apple also needs to bring better spam protection to Ping and work out the Facebook integration problem fast. Ping may become the next social media competitor if armed with proper tools and current teething problems solved. iOS on the New iMac? Maybe!